Shirts can be ordered in Navy Blue or White – Standard shirt prices are in the $24-$26 range. Extra for your name emroidered on it & for XXL sizes and larger. 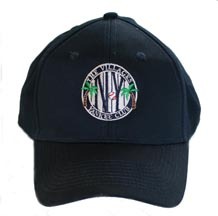 Hats can be Navy Blue, White, or Pink – Standard Hat prices are in the $15-$17 range. Other Items we may obtain are Magnets, Decals, License Plates, & Tervis Tumblers…let us know your desires.